The history of Weapon backs to 500,000 Years ago when our Ancestors, Early Man, developed Spears for hunting. Those Spears were made by attaching a pointed stone on a thick stick. This beginning of weapons since the Early Man has changed a lot in the past. There is a whole history about the development of Deadly Weapons from time to time. Not only the weapons have developed, also there applications have changed in the current world, from hunting and self protection to the Mass Destruction. Listed below is the list of Top 10 most dangerous guns and deadliest weapons of present time on the Basis of Range, Number of Rounds, Effectiveness, Efficiency and their potential to cause Damage. Kalashnikov AK-47 Aka AK-47 was designed and extensively used during the World War-II. This Gun could fire 580 rounds per minute with an effective range of 400-800m (Here ‘m’ stands for “meter”). It is most widely used at present due to its light weight and its effectiveness in the terrible weather conditions. It is one of those rare guns, which if submerged completely in water, can still fire straight away. AK-47 is one of the cheapest guns to manufacture, with only eight moving parts. Designed by German company Heckler and Koch, HK MG4 MG 43 Machine Gun, is a 5.56mm (Here ‘mm’ stands for “millimeter”) belt-fed light machine gun. Also known as Perfect Killer it never misses its targets. It was originally made in 1990 but came into light in early 2000. The gun is designed to shoot maximum 775–885 rounds in a minute with the effective range of 1000 meter. This gun can work in adverse situations and can cause irrevocable damage to the target. Also designed by Heckler and Koch, HK 416 is an assault rifle weapon which is said to be modernize form of American M4. This 5.56mm gun has a range of 600 meter. This gun fires 700 to 900 round/minute. And all this makes HK 516 8th most lethal weapon in the world. Made of floating barrel and the lightweight Titanium frame, AS50 can fire 5 rounds of .50 BMG in almost 1.6 seconds. 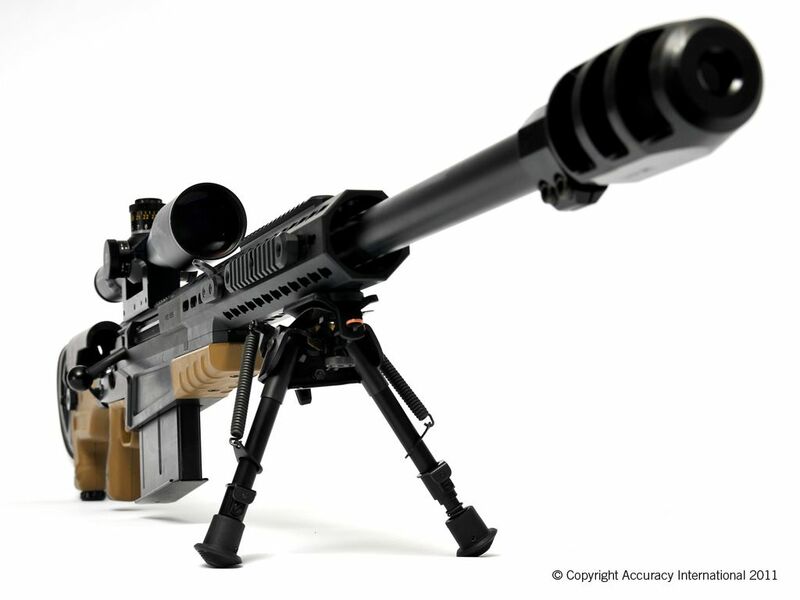 It is a 14.1 kg sniper rifle, which is manufactured by British Firearm producer Accuracy international Ltd. With a range of 1800m and 12.7mm caliber, it is manufactured to hit target at long distant places with accuracy and precision. It was first introduced in the year 2005. 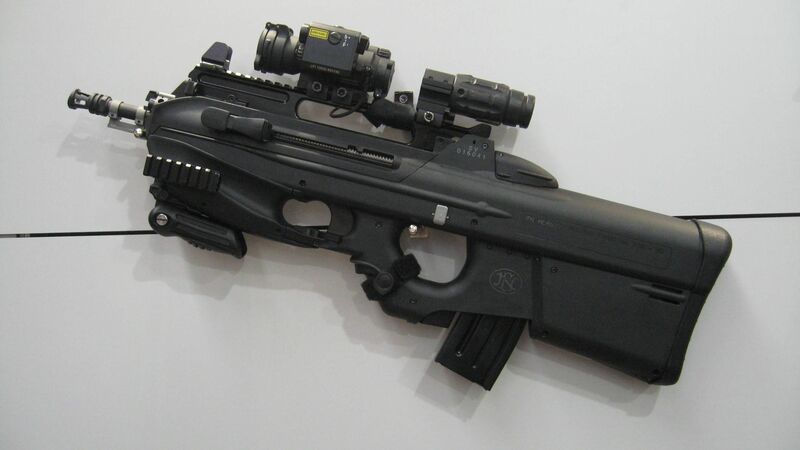 Developed by the Belgium Company, FN Herstal, F-2000 is a fully automated assault rifle. It was first displayed in Abu Dhabi, in the year 2001. It makes 850 rounds per minute with a range of 500m. It has a 5.56mm caliber. This lethal weapon is widely used by NATO. 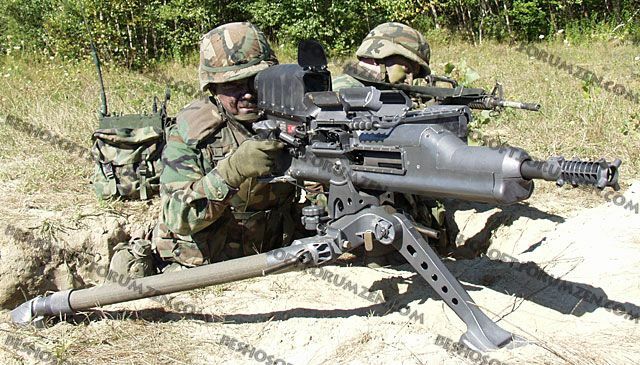 It also has a 40mm lightweight grenade launcher and it is gas operated. The 6 decades old MG3 Machine gun played an important role during the World War-II. It is an automated gun of German origin. It fires at a rate of 1200-1400 rounds per minute with effective range of 1200m. It has 7.62mm caliber and has unbelievable speed. All these attributes make it the 5th most dangerous guns till time. XM307 ACSW Advanced Heavy Machine Gun is designed by US army. The maximum rate of fire is 250 rounds per minute. XM 307 ACSW (Advanced Crew-Served Weapon) is operated with the help of two man and can hit the target at the range of 2000m. If target is within the range of 1000m, it can also destroy heavy machineries as helicopters and watercrafts. It is one of the most lethal weapon being developed in the history of mankind. Uzi Sub-machine Gun is another gun whose history dates back to World War-II. It was developed by famous gun designer Uzial Gal in collaboration with Israel Ministry of Defense. The range of gun is limited to 200m. However, it could fire 600 rounds per minute. The gun has relatively very less moving parts and is also available at less cost than the other guns. It is used in military and defense of many countries as well as by individuals for their personal safety. Also known as “Tommy Gun” was first designed in the year 1919 by General John Taliaferro Thompson. It is an American submachine Gun as it is neither a Pistol nor a Complete Machine Gun. Because of its lightweight and accuracy to hit target, it is used by many of the police officials, security agencies, soldiers as well as criminals. Weighing around 4.69 kg, it has .45ACP caliber and this beauty can fire maximum of 1000 rounds per minute with the effective range of 100-150m. Among the deadliest Guns in the world, DSR-Precision DSR 50 Sniper Rifle tops the chart. It is an Anti-material rifle, manufactured in Germany by DSR-precision GmbH. The gun has an effective range of 1500m and fires very powerful .50 caliber, with free floating barrel technology. It is short in length and is highly adjustable with great precision. It also has a holder in front which decreases the reload time and makes it even faster. Do you know anyone who makes holsters for this? This is my new carry gun. This list is an embarrassment. Everything stated is incorrect. I have fired many of these weapons and you obviously have just pulled random info from god knows where. The picture of the AS50 is NOT an AS50. The XM307 ACSW is an automatic grenade launcher and development was stopped in 2007. 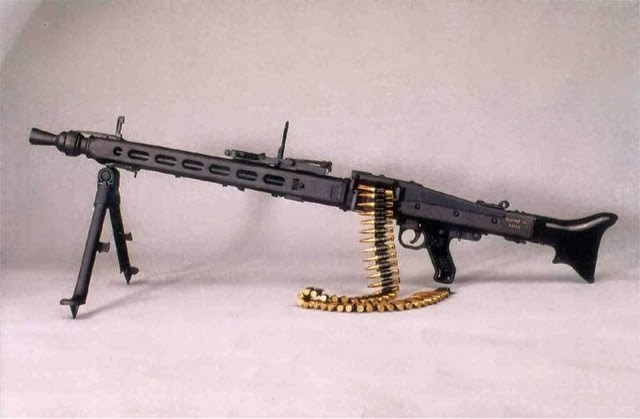 The MG3 has NOT been around for 6 decades; the MG42 was. The F-2000 is NOT widely used by NATO. The HK MG4 MG 43 is not what is pictured and “it never misses its targets.” Really???? You should stick to what you know, whatever that may be. The internet is full of enough misinformation already.